Over the past 8 years, Iverstine Family Farms has earned its reputation as the only farm in the area sustainably producing proteins that are marketed directly to the local economy. 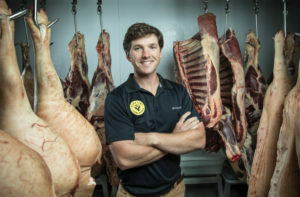 Iverstine Family Farms and Butcher owner Galen Iverstine says he came to the decision to start the business after spending his senior year at LSU searching for a career that would allow him to fill a need in the community. An English class focused on food policy and agriculture piqued his interest in alternative, sustainable farming methods and Iverstine dove in. He then spent months learning the ins and outs of the business on a small farm in New Hampshire. When he got back to Louisiana, Galen and his father purchased 65 acres of land in Kentwood, and in the summer of 2010, Iverstine Family Farms made its debut at the Red Stick Farmers Market. 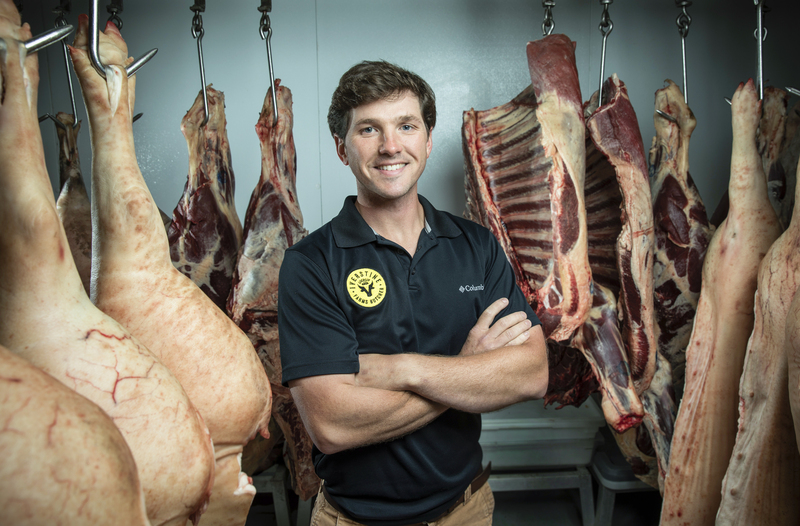 From there they built a customer base, eventually opening a full-service retail butcher shop, selling to restaurants and the public, as Business Report details in its latest Entrepreneur feature. With the butcher shop now well-established, Iverstine is focused on getting his products to more people. One way he plans to do that is by developing a food subscription service that would deliver fresh meat to homes.